Back in the ’70s, Pong seemed like harmless family fun. Bleep . . . Bloop . . . Bleep . . . Score! But what if that was just the first taste? Harder stuff was on its way, just as surely as computing power was skyrocketing. Compared to the eight-bit decaf of my childhood, today’s hyperrealistic, massively multiplayer video games look like straight-up crack. Or “digital heroin,” as many alarmists, parents and tabloids have come to regard the screens in front of our collective noses. Nowadays, we often joke about our tech habits using the language of addiction. But is it possible to actually be addicted to video games? Ask YouTube and you’ll be introduced to a lanky Canadian lad named Cam Adair. If “Revenge of the Nerds” had a TED Talk, his video is what it would look like. He testifies with passion and pathos about how his online compulsion choked out every other healthy instinct. He spent up to 16 hours a day gaming. He dropped out of high school. In the morning, as soon as Adair’s dad dropped him off at his fake restaurant job, he’d take the bus home, sneak back into his room and get a few hours of rest before starting over again. He knew he’d lost control of his life and tried to kick the habit several times before reclaiming his life years later—and ultimately founding Game Quitters, the world’s largest support community for video game addiction. Over the past decade or so, professionals in the medical and psychological arenas have been seeing more and more cases like Adair. They have called for closer study. This past June, the World Health Organization took the concern one step further and created a new entry in its International Classification of Diseases: gaming disorder. The International Classification of Diseases, or ICD, is a reference manual for classifying diseases, disorders, injuries and other health conditions. Practitioners use it for diagnosis. Researchers use it for statistical analysis. Many health care companies and insurers use it as a basis for reimbursement. So this new classification of gaming disorder does more than just slap a new label on a set of symptoms. It creates a framework for the health care system to formally address it, and it creates the conditions whereby sufferers may eventually find help. Not all psychologists agree gaming disorder is worthy of inclusion in the ICD. Many see this as a misguided attempt to pathologize a popular pastime and ignore underlying mental health issues that might drive a person to seek solace in an alternate reality. Others argue for a broader category—Behavioral Overuse Disorder—that could apply to a range of related issues without prejudice toward gamers. WHO leaders knew this decision would encounter blowback, so they set the bar very high for a gaming disorder diagnosis. They identified three major characteristics of the condition—similar to those of substance use and gambling disorders. First, the behavior must cause marginalization of other daily activities. Second, it must impair control, despite consequences, persistently or recurrently for at least a year. Third, it must lead to significant distress in social, familial and personal functioning. Essentially, gaming would have to be ruining your life—not just dragging down your GPA. By WHO standards, the prevalence of this condition is very low. 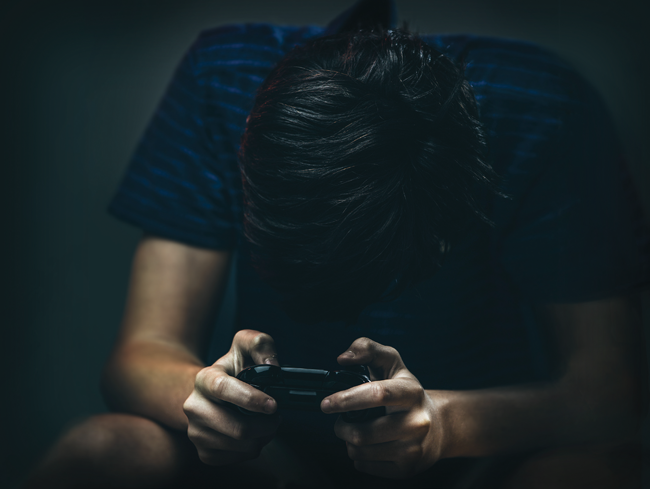 The conversation about gaming often centers on kids because parents see their children withdraw in ways they don’t recognize from their own childhood. But, of course, gamers aren’t all kids. The average age of the video game player is roughly 35—that is to say, the age of the average person. But it does beg the question: What does all of this do to minds that are still under development? And more generally, how serious is this phenomenon? The 2015 Common Sense Census of media use found that teens (13 to 18) spent a daily average of more than six and a half hours on screen entertainment (including TV, smartphones, computers, video games and streaming videos). Nearly 80 percent check their phones hourly, and 72 percent feel the need to respond immediately. Kids 8 to 12 trailed teens just slightly with a daily average screen time of more than four and a half hours. This all represents a significant increase from years past, with a substantial minority developing excessive, problematic habits that interfere with functioning in school and relationships. You might think that kids who never knew a world without the internet would be in denial about all this, but in fact they seem to be acutely aware. The poll said that 50 percent of teens feel they’re addicted to their mobile devices. More than one-third said they very often or occasionally try to cut down the amount of time they spend on their devices. But what makes video games so addictive? Why not water polo addiction or cow milking addiction? Because today’s games stimulate the dopamine “pleasure pathway” in several unique ways. For starters, video games create a satisfying sense of mastery that’s more attainable than mastery of something like, say, basketball. Socially, the virtual world provides an escape from everyday pressures and responsibilities. Multiplayer online games often replace face-to-face interaction. Those with social inhibitions or deficits tend to find online communication preferable, possibly due to reduced risk of confrontation or the ability to follow scripted conversations along familiar themes. They may find the anonymity, or the ability to craft an online persona, particularly liberating. Another key factor in making games addictive is something called “variable ratio reinforcement.” Every time you play, you receive a semi-randomized frequency of reward, not unlike the experience of playing a slot machine. The unpredictability of jackpotlike events keeps players on the edge of their seats. Games also offer immediate gratification, since it’s so easy to play on a moment’s notice. One more interesting (and potentially insidious) aspect of online multiplayer games is that it joins people from around the world and, more specifically, from different time zones. Nobody has the same mealtime or bedtime online. Because there are no common time cues, it becomes easy to ignore the ones in your own home. For parents concerned about the dangers of the internet, Shimoyama says, “Make sure you’re having a conversation with your kids at an early age about responsible media use.” As a resource, she suggests the American Academy of Pediatrics’ Family Media Use Plan, which you can find at healthychildren.org. It’s essentially a checklist of age-appropriate internet guidelines to discuss with your child. The family media plan also recommends diversifying and carefully choosing what media are worthwhile for your kids. Apps pitched as “educational” or “interactive” should require more than mere tapping and swiping. You may wish to plan opportunities for co-viewing and co-playing with your child, since younger ones learn better from media when they share the experience with an adult. Today’s kids also need to learn digital citizenship and safety—namely, to respect others’ privacy and not share private photos. Kids should know to tell a parent or other trusted adult if they get bullied, witness bullying or receive messages or photos that make them uncomfortable. It is a lot of ground to cover—and potentially daunting. But our kids’ media environment is so wildly different from ours just a generation ago, it seems imperative we give them the skills early on to thrive in it. If they get hooked on technology, it’s not like they can quit cold turkey. It’s just a pervasive fact of life.